In March 2017, Margaux Gebers and I will be traveling across the Western Texas, Trans Pecos Plains. We hope to bring awareness, aid, and assistance to veterans, those who have gone too soon and their families. As members of the military community for a collective fifteen years and having served overseas on multiple occasions, we can empathize with these family's situations. These circumstances drive us to contribute in any way we can. In roughly 30 days we will be covering at least 550 miles to raise awareness and aid for veterans and family members. We will be using a trail that was established by the US Army in the 1850’s to distribute messages and supplies between San Antonio and El Paso. The Army Corps of Engineers sent scouts over northern and southern routes of the plains to find the most efficient delivery routes. We will be traveling along the southern route, stopping at some of the same forts the original scouts used. 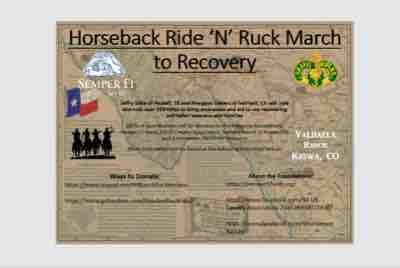 In keeping with tradition we will ruck march portions of the trip or ride our horses "Deuces" and “Sonny” to the destination in Ft. Bliss. Ultimately we hope to raise funds and donate them to the Semper Fi Fund, 3d US Cavalry Association, Valhalla Ranch, and the 4 Horsemen Ranch for Veterans. The Semper Fi Fund donates 94% of their collections to veterans and military families, of all branches, who are in need of extra support. As we have been a part of the 3rd Cavalry Regiment, we wish to contribute back to their scholarship funds that benefit past and present Troopers and families within the unit. The 3d US Cavalry Association endows their support organically to the unit. 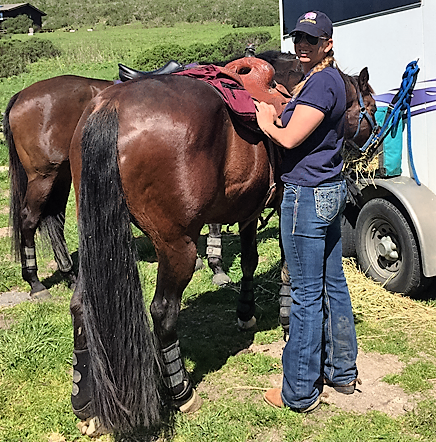 Valhalla Ranch of Kiowa, CO caters exclusively to combat veteran's to help them recuperate and heal through horsemanship. Lastly, the 4 Horsemen Ranch for Veterans is my own startup. 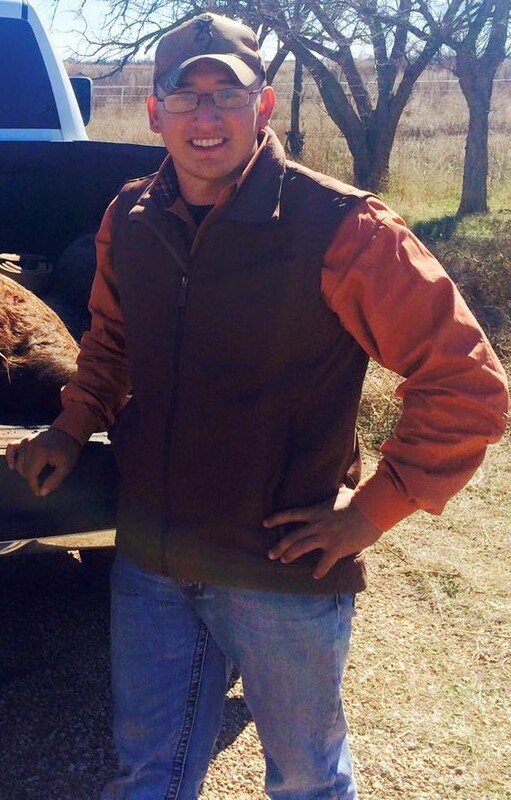 I am using the ranch to take veterans and Active Duty service members hunting, riding, camping, or just a general 'get away from it all' good time. We will use 100% of the money raised for the 4 Horsemen Ranch to sponsor a trip to the ranch for veterans who can't fund the travel. All money raised will be compiled and split as following: 60% to Semper Fi Fund, 20% to the 3d US Cavalry Association, 10% to Valhalla Ranch (Kiowa, CO) and 10% to 4 Horsemen Ranch for Veterans. 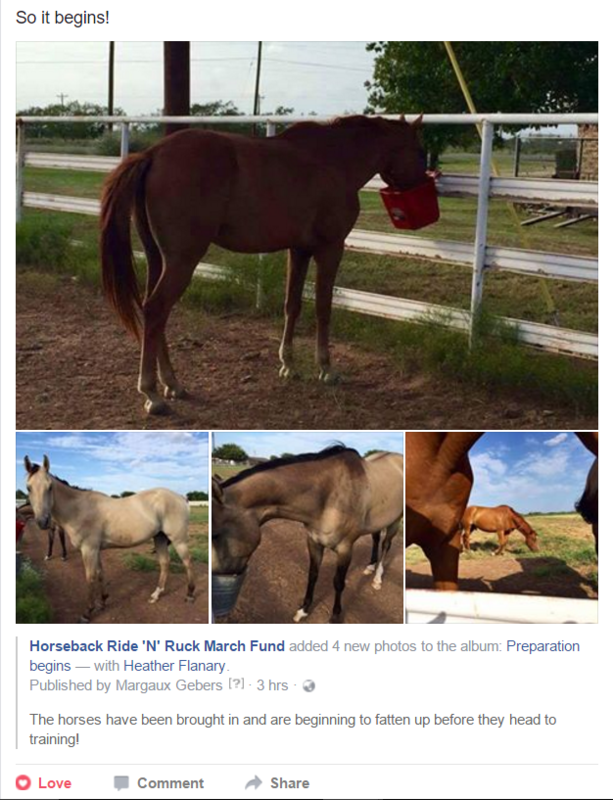 We will begin the Horseback Ride N Ruck March Fund Event in San Antonio, 5 March 2017! Please continue to Like and Share our Page to help spread the word. Thank you to everyone who has liked and shared our our event on FB, also for sharing the events GoFundMe page. Currently the horses have been brought in and are beginning to fatten up before they head to training the beginning of November. We are Emilee's grandparents and Corporal Tom Maynard's parents. We donate in honor of our son. Thank you for the wonderful mention of Emilee ! She is so amazing and we love her so much. Tom thought the world of her ! Thankyou for being so genuine and caring! Love this!